Before anything else I guess by know you know what had happened to the Philippines last weekend so for those who wants to donate money to the victims of Typhoon Haiyan here are some organizations that are currently deploying urgent relief efforts. Note each of the links will point you to their donation forms, any amount would be a great help for my fellow countrymen. 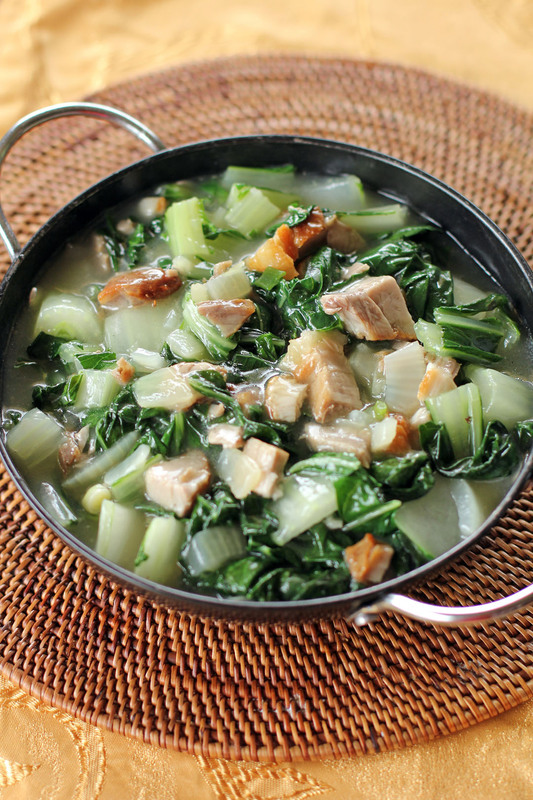 This is one of those dishes we always pair with anything fried (fish, pork or chicken), a very flavourful vegetable side dish that complements any fried mains that you may have, similar to bok choy in oyster sauce, but the flavours are a bit distinct as it comes from shrimp paste. This recipe was introduced to me by my wife and this is one of the vegetables I stated to love eating (I never liked vegetables before I met her, she just thought me how to love it). Since then I always crave for this if we have some fried or grilled meat. So if you are like me who don’t love vegetables this might be a start for you to love them, so what are you waiting for try it out now! In a wok, add oil and sauté garlic and onions. Add pork cubes and stir fry for 3 minutes. Add bok choy and stir fry for 1 minute. Mix together cornstarch, chicken stock and bagoong. Pour into the wok then bring to boil and simmer for 2 minutes. I just gathered some clothes to donate. Your country is in my thoughts. Am so sorry to hear of the devistation in the Philippines, just heartbreaking. Thanks for listing all the organizations offering relief. Great recipe too. I am so sorry for the devastation in your country, Raymund! I hope things get better and better there. I love bok choy…Its flavor reminds me kale — which I do appreciate a lot. My thoughts and prayers with those devastated by this horrific typhoon. Is all of your family okay Raymond? Thanks for asking and yes they are all fine, but really sad as I heard here in NZ that at least 10K are feared dead by now. 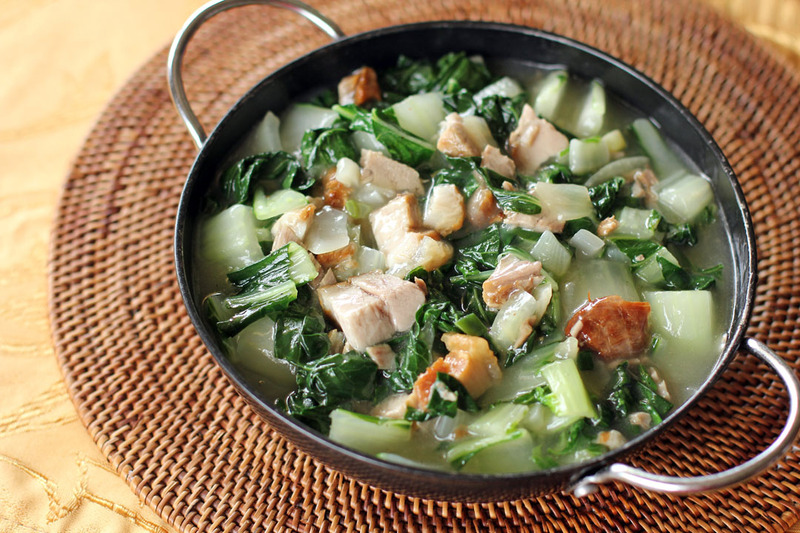 The bok choy looks delicious with pork belly, so tasty…and the shrimp paste…yum! we used to use the smoked (not cured) pork belly for this kind of sauteed veggies in Indonesia…. We are such big fans of bok choy that I know we’d love this! Great dish! Love bok chou but never had it with pork belly before.